Scott McDonald was racing in Grangemouth on Sunday 14 April at the Round the Houses 10k - incorporating East District 10k Road Championship (and Scottish Students Road Champs). 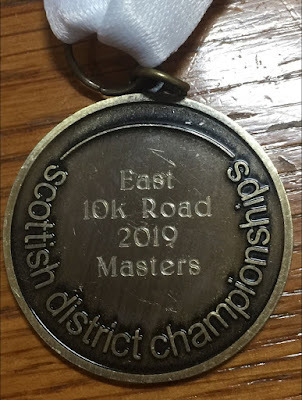 We get so used to Scott excelling but his performance was simply astounding clocking 33:16 to win the M50 prize at the race and become the East of Scotland Masters 40+ 10km champion (two M40s were quicker than Scott on the day but as down were members of west clubs didn't count for the East prize). He finished 19th overall - and would have finished 5th in the Scottish Uni Champs he went so fast, and his time was over a minute quicker than he set last September winning the Scottish M50 title in Stirling (34:21) !! 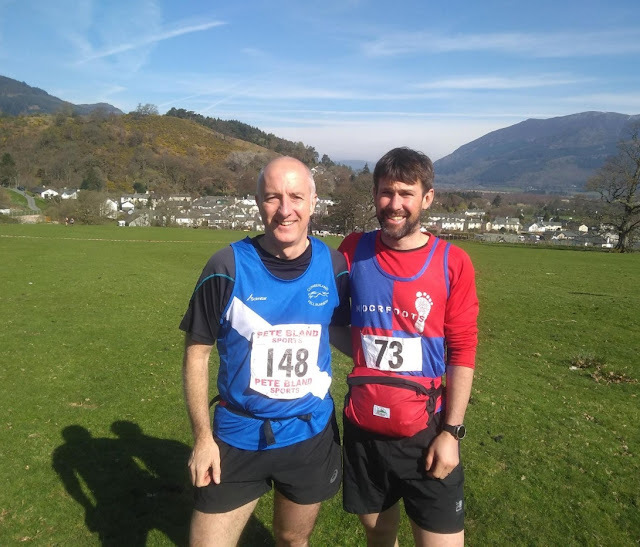 Saturday hosted the annual Coledale Horseshoe Fell Race (Distance: 13.7km / 8.5m, Climb: 915m / 3002ft)from Braithwaite by Keswick in the northern Lake District. 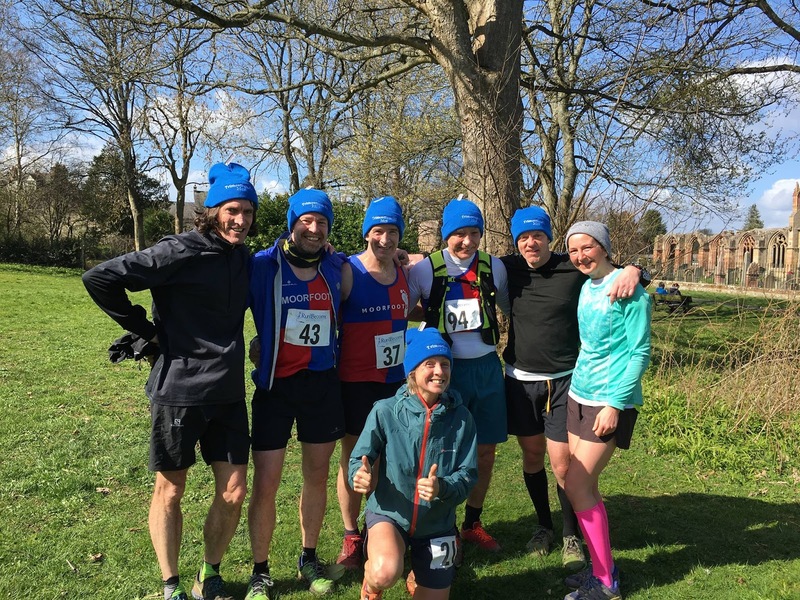 A classic fell race it attracted a very strong field and was attended by Scout Adkin, Andy Cox and Pete Hall (in his Cumbria Fell Runners colours as he’s still a member of them too). After the midweek surprise dump of snow on the tops, there were fears foe the worst for race day. However, the sun came out with hardly any wind at all and Scout was even sporting sunnies! In total there were 315 who took to the startline. Trimontium is the name of a Roman fort at Newstead near Melrose, Scottish Borders (close to the 3 Eildons). The race is very similar to the Eildons 10 Mile Trail Race that has run in previous years in the opposite direction, clockwise, starting at near the Melros cemetery and then directed towards the River Tweed first before taking on the 3 Eildons at the end then continuing to finish just outside Melrose Rugby Club. Some very competitive performances, despite some wrong turns and extra distance at the front of the field. Lucy Colquhoun was the 2nd woman, and 1st F40 and four Moorfoots in the top 10 with Michael McGovern 3rd (1st M40), Scott McDonald 4th (1st M50), Darin Dougal 5th (2nd M40) and David Gaffney 8th. 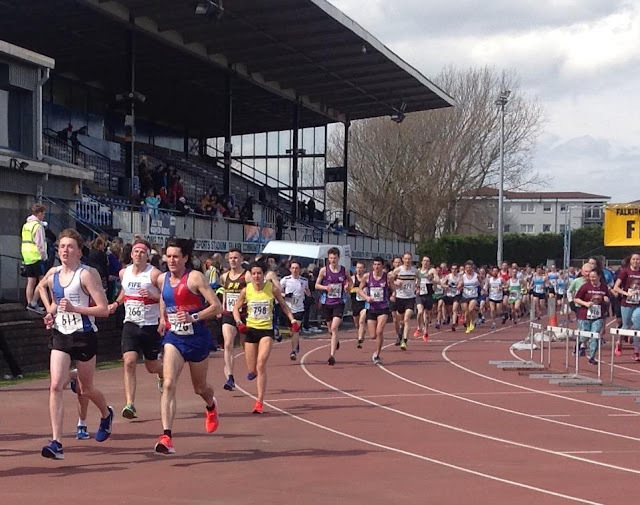 Also enjoying a great day’s racing by the sounds of it were Alan Elder, Ian Munro, and Lucy Oldham along with Thursday runners Dean Carr and Gillian Carr running for Corstorphine. "For those of you who have never run over the Eildons and by the River Tweed in the past - you will not get overhead and underfoot conditions like today again - Ever! It was perfect." Weekly interval training session. Meet at Kingsmeadows Carpark, Peebles . All Welcome - the sessions are designed to cater for a range of paces!